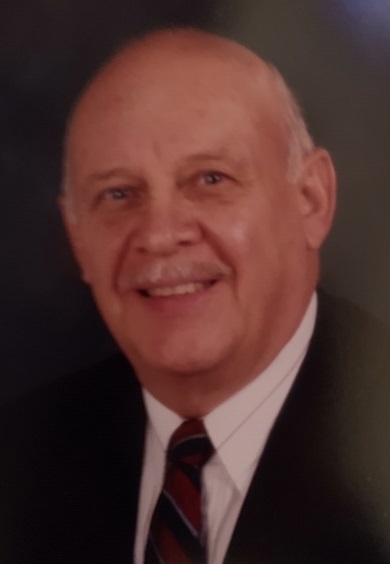 John J. Perry, of Katy, Texas, formerly of Girard, departed this life on Tuesday, January 29, 2019, at the Hospice House, in Poland, Ohio. John was born on July, 28th, 1936, in Youngstown, the son James J. And Julia (Kordic) Perry. John graduated from Girard High School in 1954. In 1958 he married Marlene A. Kurilla, of Youngstown and became full time residence in Girard, were they started their family and a local business. (Liberty Paint & Supply). In 1983 they sold their local paint business and moved to Houston, Texas where he worked, until retirement, as a manufacturing and architectural paint representative for several national paint companies. John loved playing golf, traveling, visiting with friends and spending time with his family, including seven grandchildren and four great-grandchildren. He enjoyed watching baseball, golf and football and was an avid and life long Cleveland Browns Fan. He leaves to cherish is memory, his four children, John (Kathy) Perry, of Kingsland, Texas, Daniel Perry, of Sugarland, Texas, James (Terri) Perry, of Boardman, Ohio and Julianna (Perry) Riley of Katy, Texas. Grandsons; Steven Perry, Jeff (Christina) Perry, Matthew Riley, granddaughters; Allison Williams, Lea Perry, Julia Perry and Jessica Riley; great-grandson Logan Perry and great-granddaughters Isabelle Perry and Jasmine and Mia Garcia-Perry. His sister Ginger and Tony Mariana of Boardman, Ohio and many nieces and nephews and a host of additional family and friends. He was proceed in death by his parents, his first wife Marlene of 51 years and his second wife Rose (Chappa) Perry of three years. Memorial services will be held on Friday, February 1st, 7:00 PM, officiated by Msgr. John Zuraw, at Blackstone Funeral Home, where the family will receive relatives and friends from 4:00 PM until the time of service. The family suggests any memorial contributions be made to St. Jude's Children's Hospital, in John's memory. Visit www.blackstonefuneralhome.com to view this obituary and to send any expressions of sympathy to the family.